An exploration of trees, their saps, the resinous outcomes, the essences and their fragrances. And Birch bark — a visit to the Early Buddhist Manuscripts Research Project in the palaeographic laboratories at the University of Washington. 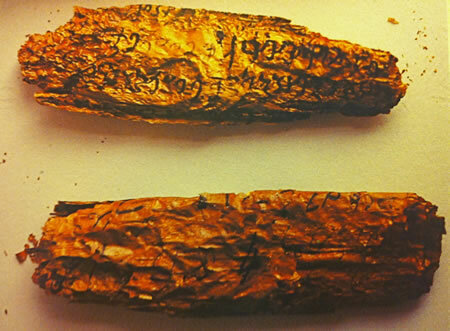 Scent, script and scripture, story and history: mystery from the ancient forests. Sometime back, a couple of years ago, I was traveling in Firenze, along with Dawn Clark, Karen Dubin, Karen Adams and a team from the Sniffapalooza crowd. Meandering back into the recesses of the shelves of profumi, old shops, apothecaries and farmeceutica, expert noses and fragrance makers, I sample, scent and dream. The idea of smelling “an object, an essential amalgam” is instantly evocative of place, it’s a leaping dreaming — smelling something, I sense: I scent; find place; speak memory; ignite idea, find voice, taste color and illuminate exposure. It just happens. I smell everything — sifting and sorting, scenting nearly everything that I touch, or come in contact with — it’s a perpetual curiosity. “What’s that smell like?” There are those that would say this is a fixation. But as a sensing component of how to live and be in the world, it’s one of the strongest, to experience holism. Touring the shelves, of some out of the way Florentine scent shop, I’d found some obscure out-of-stock and remaindered scent, designed in Germany, made in Firenze, and I was knocked out — transfixed — by the flavor. Zibermann’s Golden Adler Eau de Parfum. Standing there, with an accomplished perfume aesthete — he too was immediately struck by the darkly woody, burned character of the fragrance. It was a dense, smoky tarred scent, with a hint of a kind of polished metal, slightly hardened — like a freshly sharpened axe. The combination was so surprising that it’s no wonder it disappeared instantly off the shelves and can be only as remaindered items and as sampled fragrances. That lead to a quest — one, reaching to the scenteur, Dr. James Dotson, that immediately recognized the smoky flavor of its exudation. Birch tar, he said. Generously, he sent along a small vial — and there it was. Laden with memories, dreams, visions, evocations. Yet still, finding that fragrance, the sheer essence of birch tar, that’s something else — it’s not a common extraction. At least, not until you move in to learn more. First, one might examine the tree — and a link, here. It turns out, in fact, that this distinctly dark, sexually complicating scent is an ancient one. One might find, as well — in even the opening research on birch tar — that there’s a potential for this being a hidden, dark and revealing note, in a number scents, though those shown below are less than commonly recognized, they are still built by esteemed noses. Scenting them, you’ll be drawn into a place that is reminiscent of another, older world. 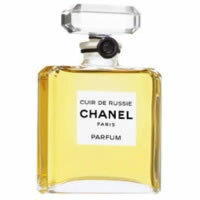 Even Chanel has used the primordial scent of birch tar, recalling forest with distant pitch and wooded “burn” fragrances — a piece of charred wood, the pitch bubbled in the heat, captures something of this evocation. Russian leather, a classic foundational principle of masculine or hearty feminine scents has something of this notation — that leads to old libraries of rare books, saddlery, leather equipage that is well oiled and protected. Guaiacol is present in wood smoke, resulting from the pyrolysis of lignin. The compound contributes to the flavor of many compounds, e.g. roasted coffee. Creosol is an ingredient of creosote. Compared with phenol, creosol is a less toxic disinfectant. But powerful indeed, an distant in history, their applications. Cresols have an odor characteristic to that of other simple phenols, reminiscent to some of a “coal tar” smell. Hard to imagine, that these would have value — but I believe that the concept of smoke is something that is deeply rooted in the psychic scent / mnemonic space of people — those that can scent it, and distinguish it. 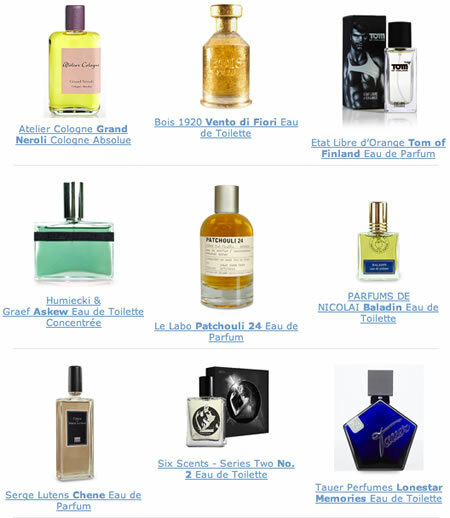 There are numerous forums that wax eloquently over these fragrances. Dig into the Perfume Shrine, to explore more, of the leathers — and the inherent birched depth of their legacy here, the Vintage Perfume Vault. The chaga mushroom is an adaptogen that grows on white birch trees, extracting the birch constituents and is used to treat cancer. Birch bark is high in betulin and betulinic acid, phytochemicals which have potential as pharmaceuticals, and other chemicals which show promise as industrial lubricants. 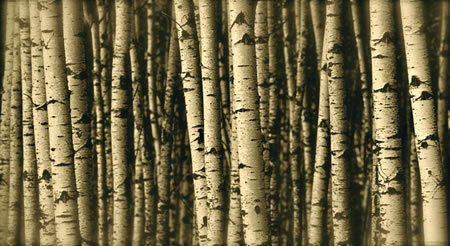 Birch bark can be soaked until moist in water, and then formed into a cast for a broken arm. The inner bark of birch can be ingested safely. In northern latitudes birch is considered to be the most important allergenic tree pollen, with an estimated 15-20% of hay fever sufferers sensitive to birch pollen grains. Birch pulp’s short-fibres allow this hardwood to be used to make paper. In India, the birch (Sanskrit: ???? 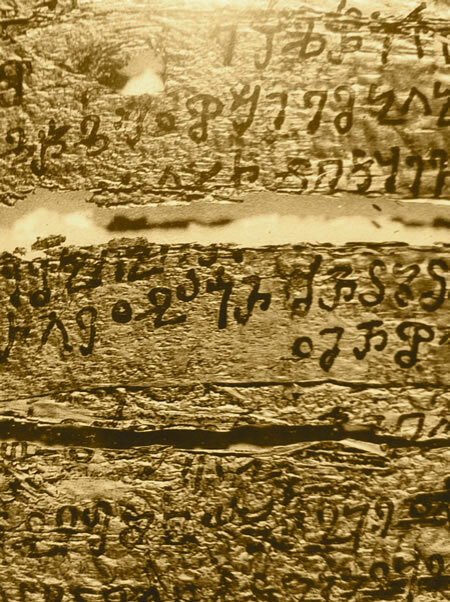 ?, bhurj) holds great historical significance in the culture of Northern India, where the thin bark coming off in winter was extensively used as writing paper. 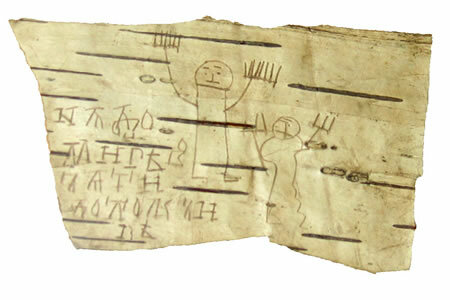 Birch paper (Sanskrit: ????? ??? ?, bhurj p?tr?) is exceptionally durable and was the parchment used for many ancient Indian texts. This bark also has been used widely in ancient Russia as note paper (beresta) and for decorative purposes and even making footwear. Therein, the bridge. 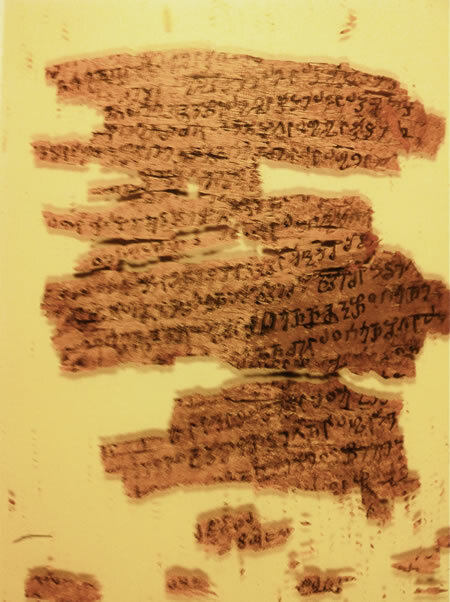 Manuscripts, ancient Buddhist texts, scribed 2200 years ago — on birch bark. 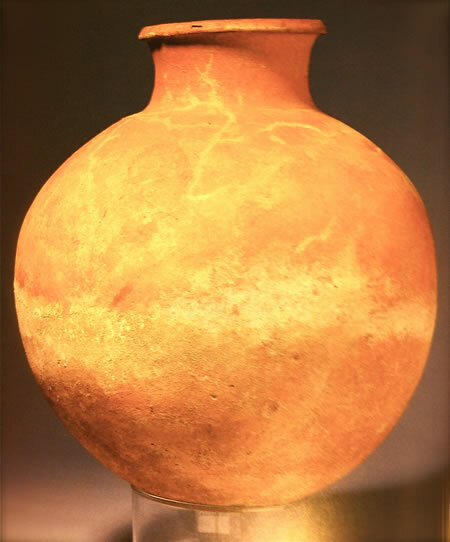 In meeting with scholars at the University of Washington, who are researching these fragments, found rolled, in urns, from the mountainous regions of Afghanistan, one of my questions was — “what do they smell like?” Of course, all of their studies were sealed in glass, the fragments are so profoundly delicate. They didn’t smell them, and both Richard Salomon and Collen Cox remarked — “is that even possible?” Of course, vials of fragrance have been recovered from ancient Egypt, still redolent of their unguent derivations. There’s more here to explore at their research website — they generously offered their time and exploration of their work over the course of the last 14 years. 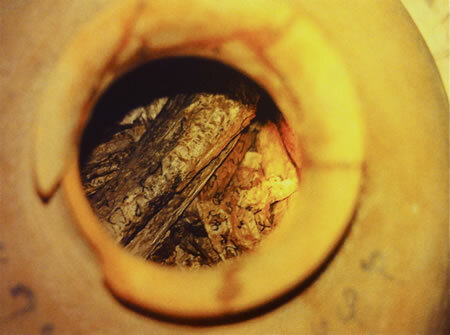 According to AWOL — The Ancient World Online, this study, “the Early Buddhist Manuscripts Project was founded at the University of Washington in September 1996 to promote the study, edition and publication of twenty‐seven unique birch‐bark scrolls, written in the Kharo? 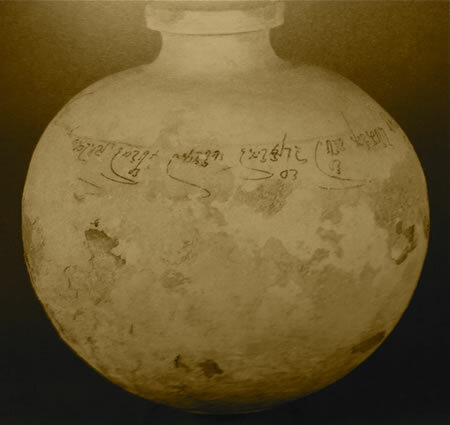 ?hī script and the Gāndhārī language, that had been acquired by the British Library in 1994. The bridge: exploring scent, history, smoke and the mysterious intertwining of both, over time. I believe in the concept of collective, unconscious recognitions — and that the scent of smoke, whether arousing danger or comfort, can reach into the same vessel of archetypal memories in experience. Like the Native American legacy of the concept of story smoke, a mystical entwining of message, story, teachings and smoky prophecies, there are intermingling poetries that bind it all together. I am attempting to use birch tar as part of a complex base ( labdanum, sw, oakmoss, argarwood, angelica, tobacco, etc) to build a progressive fragrance of combat to comfort ( gunmetal and gun powder, leather, wool, sweat, smoke, rot, dirt, burned florals, barbed wire, mud, old paper, bronze, more florals, grass, cleaner leather, new paper, fresher florals, women and children, possible gourmand, home, etc.) from the Eastern Front of WWI. Do you have any advice on dilution of birch tar and base oils it might blend well with, and to enable a transition from these dark base accords up through bridges and modifiers so as to arrive at a top heady floral or spice fragrance of the Armistice in keeping with Russia? Thank you kindly.